Jobbing multi-intrumentalist for the likes of Caribou and of Montreal, Ahmed Gallab is perhaps best known as a member of Brooklyn experimental indie darlings Yeasayer. However, he’s also an artist in his own right, releasing his solo material under the Sinkane monika. The scenester funk of “Runnin'” is the first single to be taken from his new LP Mars, released on DFA/City Slang in November, and its stylish clip is today’s EB Video Premiere. 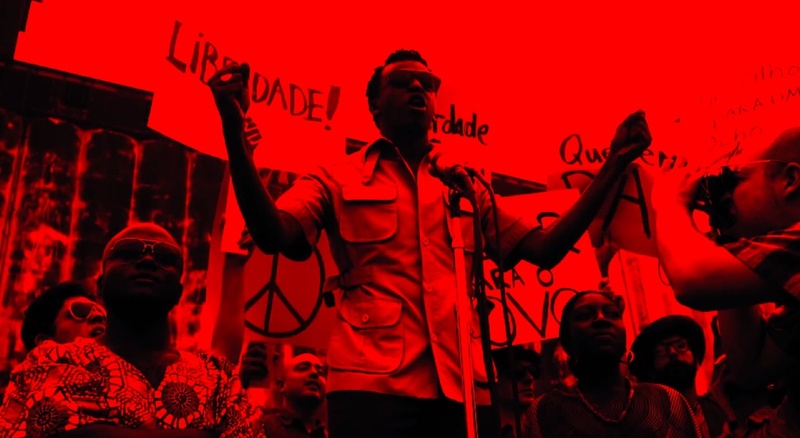 In the clip, Gallab draws on his Sudanese heritage—a country which is no stranger to military coups—to create a revolutionary themed narrative, shot in good ol’ black and red and directed by Philip Di Fiore.